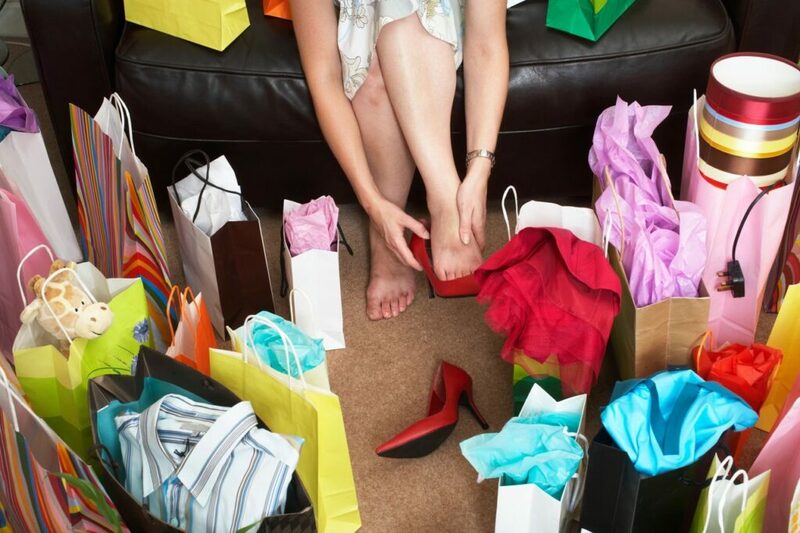 Is Consumption Becoming Your Crutch? Has consumption become a crutch for not getting your possessions in order? Do you buy more because you have so much that you have lost track of how much you truly own. If that’s the case it may be a good time to take a closer look at why you keep buying. Are you afraid to examine what you have and how you came to possess it all? Before you can bring any order or clarity to your life it’s necessary to take stock of everything you own. Going through each item is not an easy process and can be mentally exhausting but in order to move forward you must examine the past. Looking at all of our items may bring back sad memories as well as reminding us of how much money we have spent and possibly still owe. An item that once brought you joy is now a reminder of how much life and energy it cost over time. This crutch of consumption eventually will come to feel like a hindrance as it begins to feel more like a weight that must be carried. How do you stop the cycle of over-buying? Here are 3 questions to guide you every time you buy something that will get you started on the road to consuming less. 1) Has buying something like this in the past made me happy in the long run? 2) Does this purchase help move me towards my future goals? 3) Can I delay this purchase? If the answer is yes, you probably do not need it. There is hope however and going through the exercise of examining your possessions and decluttering what no longer serves you will make you think twice before you make that next impulse buy or bring something new into your decluttered space. You will become very possessive of your freed up open space and very selective as to what enters this new found precious real estate. The same applies for your mental space as well. Less stuff means less things to worry about. Think about the amount of energy spent on the thought process to simply acquire something new. You think about purchasing something. You consider where you will buy it. You consider the price of that item and how long it would take you to earn the money to buy that item. Does buying that item mean you need to sacrifice something else in your life. Can you find this item elsewhere or do you already possibly own it. These are just a few question off the top of my head but the list is endless depending on your personal circumstances. You can take back control of your life by being very careful as to what takes up your physical space and your mental energy. A ‘less’ mindset does not mean you will be wanting for more it means whatever you allow into your space will truly make you happy because you have been consciously deciding what comes in. I promise you the payoff will be worth it in the end! Less will seem like so much more. What Can a Certified KonMari Consultant Do for You?